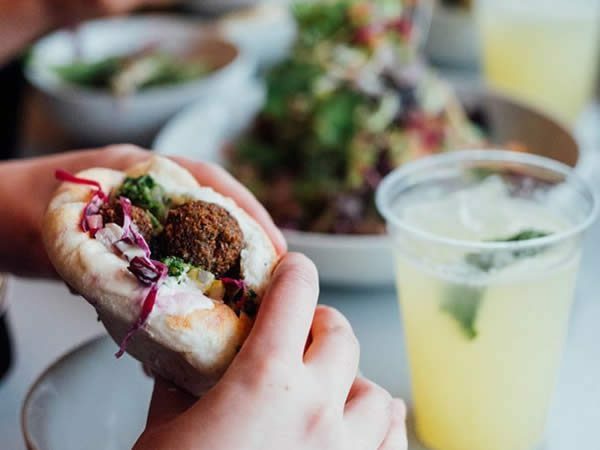 When you’re boasting a menu that consists of little more than falafel and frites, you need to make sure you’re doing your falafel and frites well. 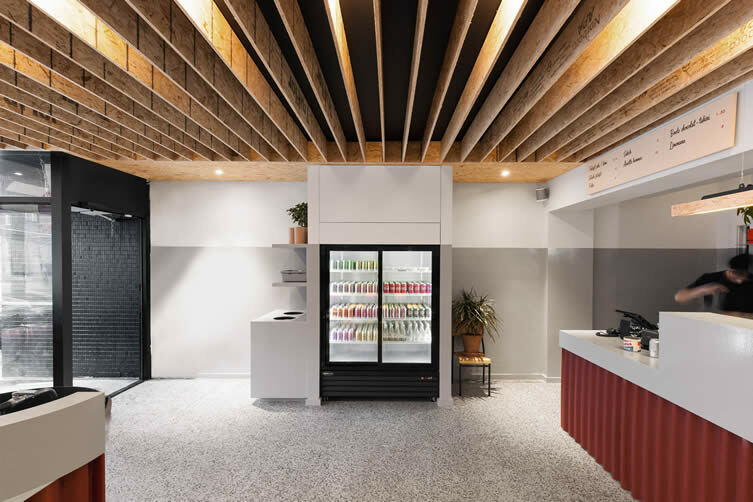 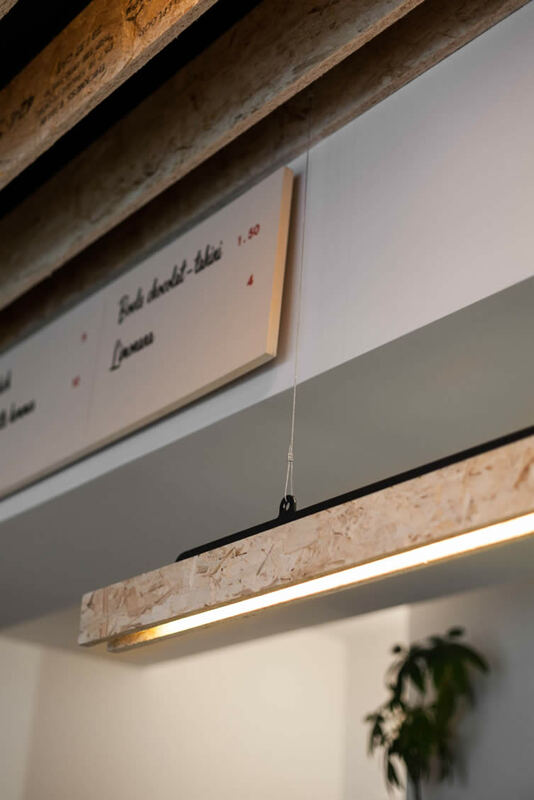 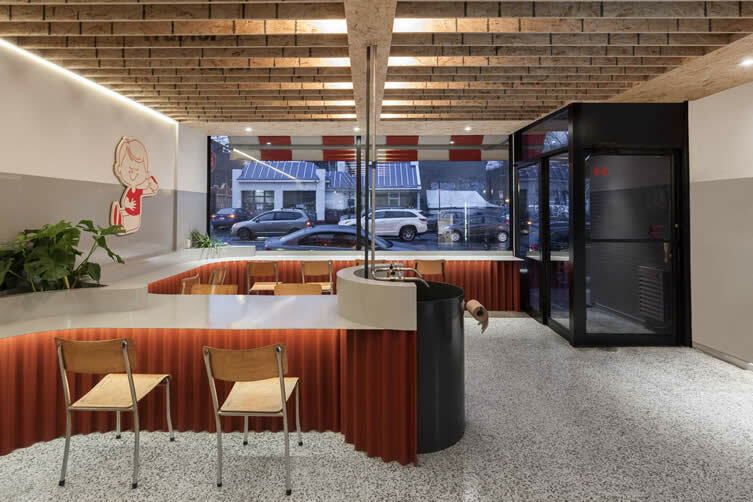 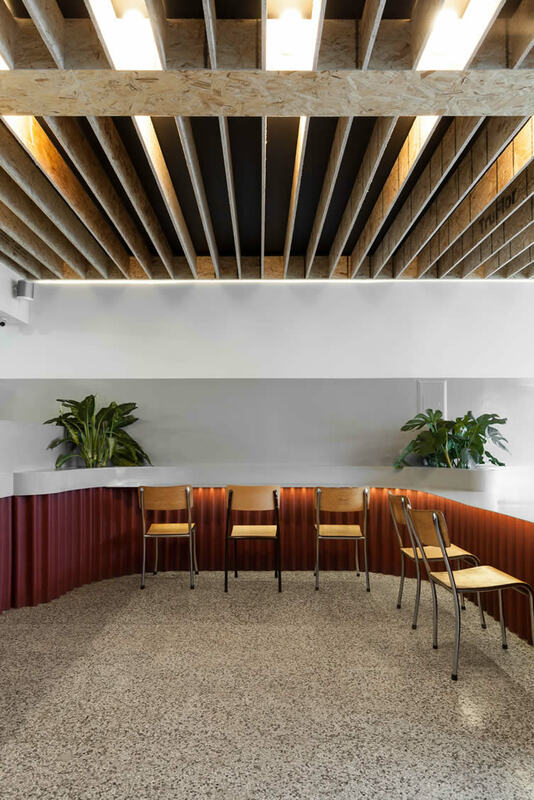 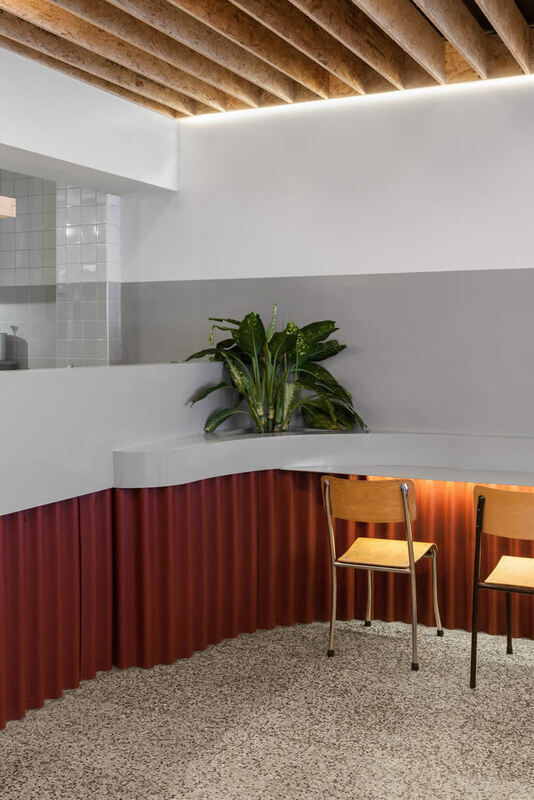 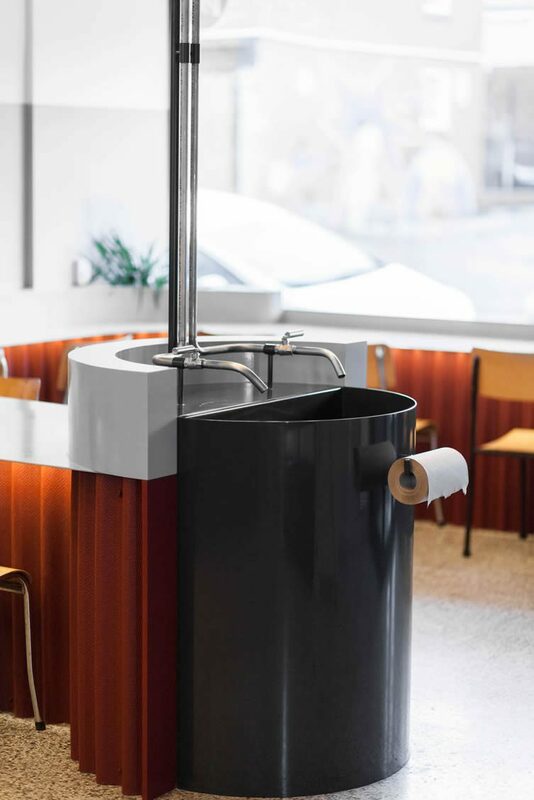 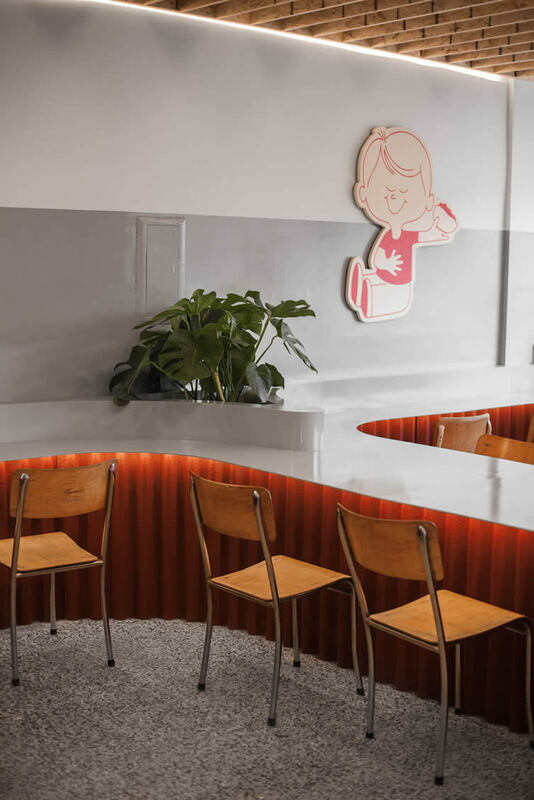 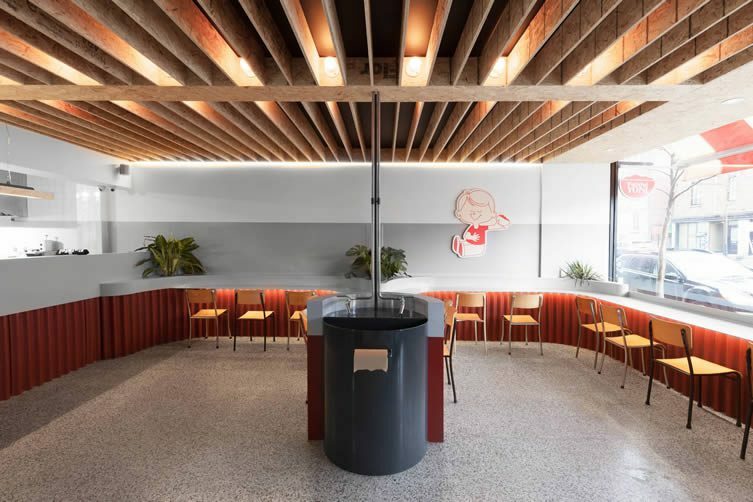 Judging by the amount of buzz surrounding stylish Montreal eatery Falafel Yoni, it appears that ‘doing them well’ is quite the understatement. 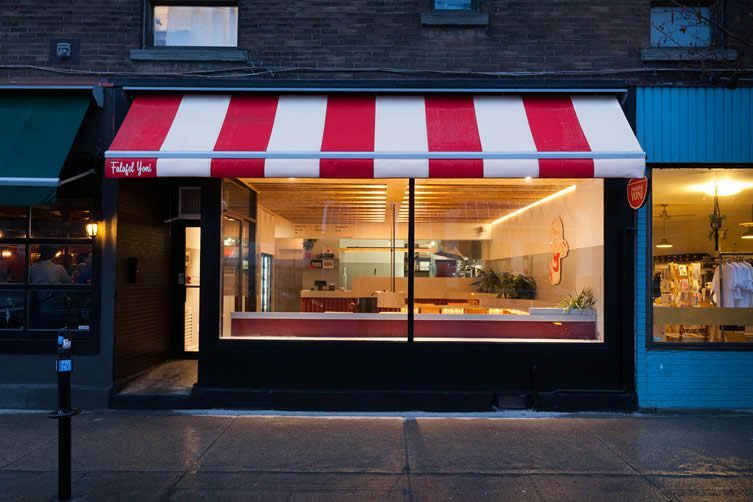 Located in the city’s laid-back Mile End neighbourhood, surrounded by multicultural restaurants and cafés, independent stores and vintage clothes shops, Falafel Yoni’s 12-seater venue (a limitation imposed by city regulations)—nicely put together by designer David Dworkind—has all the hallmarks of a typical American diner, its curved bar lined with simple salvaged school chairs, and retrotastic awning harking back to their golden age. 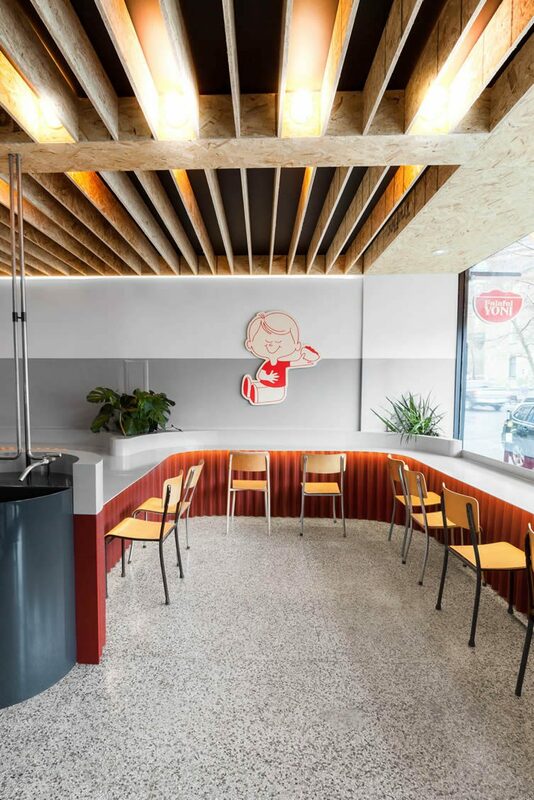 Simple but effective, Falafel Yoni hits the spot with design and desirability; its faultless falafel drawing plaudits from around the city.